Figure 1 – Trevor Jones checks the balance of his mount before darkness falls. AstronomyConnect.com sat down for a Q&A with astrophotographer and blogger Trevor Jones of AstroBackyard.com. 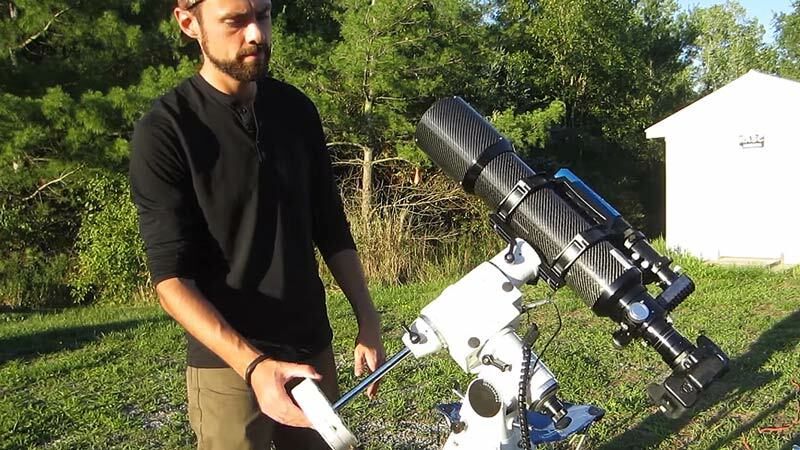 Trevor has developed a big following at his website and through social media because of his thoughtful articles and informative videos, and because of his genuine enthusiasm for astronomy and imaging. As the name of his website suggests, Trevor's base of operations is his backyard, which is located in the southern-Ontario city of St. Catharines, just west of Buffalo, New York. While he travels to darker locations when he can, he makes the most of his location and equipment to turn out some excellent work. And all the while he helps other astrophotographers learn and understand equipment, accessories, and techniques to make their own work better. Q: How do you spend most of your time when you're not imaging? A: When I am not imaging deep sky objects I enjoy spending time outdoors with my fiancé and Labrador Retriever-mix, Rudy. We share a passion for bird photography, so that's something we can all do "as a family", although Rudy has been known to spook our subjects on occasion. Q: I hear you're getting married next month! Is your wife-to-be a stargazer also? A: Yes! December 1st will be our 16-year "dating" anniversary, so this day has been a long time coming. Ashley loves camping. Her interest in the night sky spikes when spending time under the Milky Way in the summer. Q: Where do you do most of your imaging and observing? Can you describe this location? A: I do the majority of my imaging and observing at home in my backyard. The light pollution is quite strong, as artificial lighting is all around me in the center of town. My location is classified as a red zone on the light pollution map, or bortle 7. However, I am lucky to have very few direct lights shining into the backyard which is impressive considering how close my neighbors are. On a crystal-clear night in August at new Moon, the Milky Way is just barely visible to the naked eyein the direction of Cygnus. 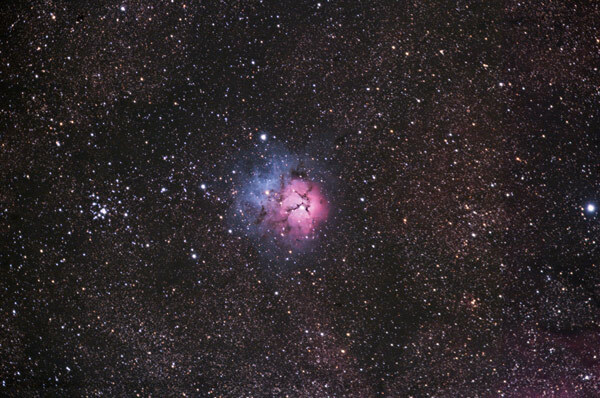 Although it is very bright, I am blessed to have an open view to the South that allows me to observe targets such as the Lagoon Nebula in Sagittarius. Figure 2 – The Trifid Nebula by Trevor Jones. Total exposure time: 1 hour through an Explore Scientific ED102CF with a modified Canon EOS T3i/600D. More details at this link. Q: Do you get the chance to travel to darker locations? Some of my favorite campgrounds to visit in Ontario are Rock Point Provincial Park and Long Point Provincial Park. Setting up a telescope always draws in a small crowd, and I am honored to share the views with the public. I also like to attend the Cherry Springs Star Party in northern Pennsylvania when the weather and my schedule cooperate. This is a great chance to check out different astrophotography setups and observe through some amazing telescopes. The skies are the best I have ever experienced. Q: What's your current astrophotography set-up? This is the primary gear I use for deep sky imaging, but I often try out new telescopes and cameras and post reviews on my website! I love using wide-field apochromatic refractor telescopes. Another one of my favorite options when shooting wide-field deep sky targets is the new William Optics Z61 APO. Q: When did you take up amateur astronomy? And when did you get seriously into astrophotography? A: I became interested in astronomy in 2010, and began taking pictures of the Moon and planets through a small Dobsonian telescope. This is when I knew that photography would be a big part of my enjoyment of this hobby. I'd say that I became serious about astrophotography when I invested in my first GoTo equatorial mount.This was a big purchase for me, and I was committed to maximizing my efforts and reaching my goals asan amateur astrophotographer. Q: How did you learn the craft? Did you have a teacher or mentor? A: I learned astrophotography by studying others and consuming content online. I also picked the brains of my fellow members of the RASC (Royal Astronomical Society of Canada). The hands-on lessons learned from the amateur astrophotographers in the club were extremely influential to my early success. Q: Astrophotography is a time-consuming pastime. Why are you taking the time to explain and teach it to others through your website? A: Early on, I learned that journaling my experiences in astrophotography and sharing my results was very rewarding. I started writing down notes as I learned new techniques and valuable lessons. Once I realized that these notes were helpful to others in my position, I made sure to document my progress in a format that was highly actionable to others. These days, the process of sharing information about astrophotography is just as enjoyable as the hobby itself. Q: What are some of the biggest misunderstandings of newcomers to astrophotography? A: I think that many beginners underestimate the time and dedication needed to be successful in astrophotography. The images we take would not be nearly as rewarding if they were easy to produce. A beautiful astro-image is the result of hours of work both inside and out. If you want to create something amazing, you must be willing to do what others won't. The key is to become obsessed with progress. Some nights can be discouraging, but if you've moved the needle one inch forward, you're on the right track. 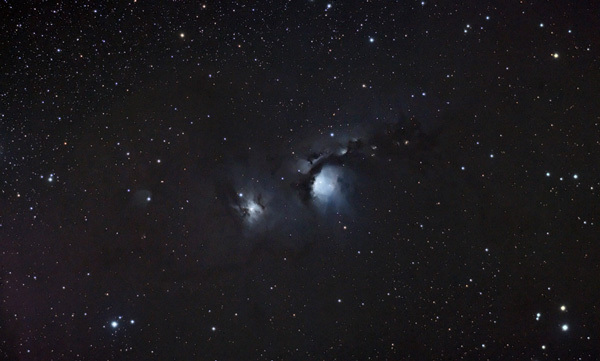 Figure 4 – The reflection nebula M78 by Trevor Jones. Total exposure time: 1 hour through an Explore Scientific ED80 with a Canon EOS 450D. More details at this link. Q: There's so much choice now in cameras and mounts and telescopes. What's a good rig for a beginner? A: For beginners, I always recommend a DSLR Camera and small apo refractor telescope on a tracking mount. 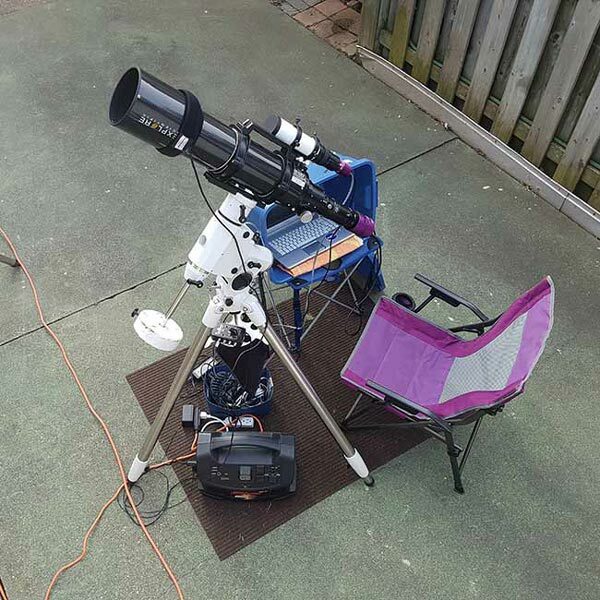 An apochromatic refractor telescope has many advantages when it comes to astrophotography. A DSLR camera is user-friendly, affordable and capable of incredible images. I have put together a resource for beginners in this situation: The Best Astrophotography Telescope for a Beginner. Q: Once set up with basic equipment, what should a new imager do in during the first 5-10 nights out? A: Get a system that works established. There are so many things that can go wrong on your first few nights out - expect them, and solve the issues one by one. Don't set your expectation level at capturing a beautiful image on your first night. Understand the importance of balance and polar alignment of the mount. Without these basics, the rest of the processis a waste of time! Then you can practice taking longer exposures, dealing with focus, and eventually autoguiding. Enjoy the ride, and don't give up. All it takes is one amazing photo to be hooked for life. Q: Who are some of the astrophotographers you draw expertise and inspiration from? A: Some of my favorite all time astrophotographers are Scott Rosen, Neil Heacock and Jerry Lodriguss. There are many fantastic imagers all over the world, but I especially love the guys who produce amazing images using "everyday" gear. The astrophotos taken by Neil Heacock using a stock Canon 1000D were very inspiring to me early on. Q: Do you spend much time looking through an eyepiece? A: Not enough. I really do love visual observing, but the astrophotographer in me demands most of my time when I am outside. I'd love to invest in a truss-tube Dobsonian telescope for star parties in the future. Q: What's your dream astrophotography rig? A: Oh boy. At this point my dream astrophotography rig is more about the location. I'd like to build a small observatory on a country property away from the city glow. Inside that observatory I'd like a large William Optics refractor with a Cooled Mono CCD. Motorized focuser, filter wheel, the 'whole 9'. But I am very patient - gotta leave something to look forward too! Q: Where's the best place online to learn more about your work? A: To learn about my astrophotography using a DSLR camera and telescope, visit https://astrobackyard.com. There you will find astrophotography tutorials, reviews, tips and of course, my images. Also, the AstroBackyard YouTube Channel contains many videos that will help beginners getstarted in astrophotography. This article is © AstronomyConnect 2017. All rights reserved.